Lonesome Spring Ranch supplies fruit to more than 60 wineries, stretching from Sequim to Montana, and including top producers. 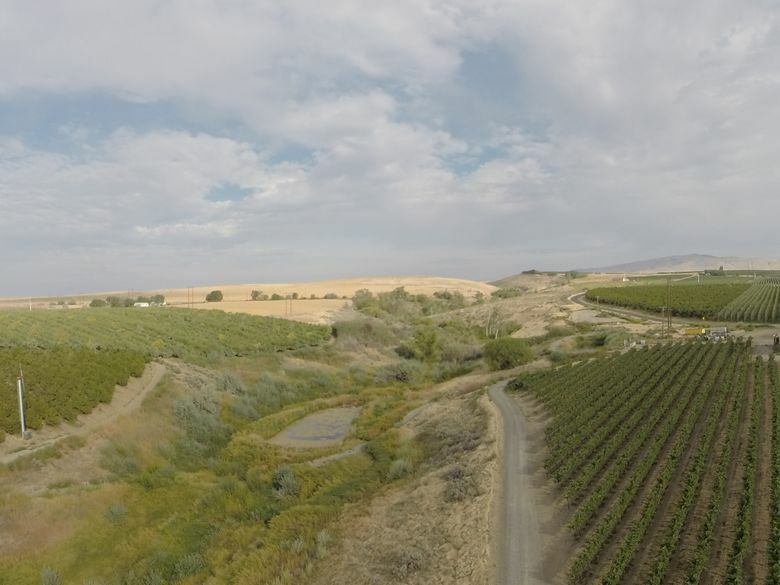 ON THE NORTH BANK of the Yakima River is Lonesome Spring Ranch, a vineyard on a lonely stretch of highway that is providing high-quality fruit to a number of Washington’s best winemakers. It is owned and farmed by Colin Morrell, who converted an abandoned sheep farm into 85 acres of grapes, along with a few acres of cherry trees. Morrell has come a long way from the family dairy farm in Wisconsin. He came out West when he turned 18, attending Walla Walla Community College, then earning a degree in agriculture from Washington State University in 1985. From there, he served as a viticulturist for Chateau Ste. Michelle for a couple of years. He went on to work for Hogue Cellars, which was owned by Constellation at the time, Washington’s biggest producer, then Precept Brands. His vineyard is a part of the Yakima Valley not often visited. He’s along the Old Inland Empire Highway, known as the OIE, about 10 miles west of Red Mountain, in the shadow of basalt cliffs to the north, with the Yakima River to the south. A natural spring runs through the property, supplying water for coyotes, rattlesnakes, raccoons and other wildlife, and providing a name that aptly fits the surrounding environment. These three wines use grapes from Lonesome Spring Ranch. Ask for them at your favorite wine shop, or contact the winery directly. Barnard Griffin 2014 Lonesome Spring Ranch Grenache, Columbia Valley, $35: Among the best examples of this Rhone variety I’ve tasted from Washington, this juicy red is loaded with luscious aromas and flavors of plum, Bing cherry, boysenberry syrup, black licorice, ripe raspberry and blueberry, backed by bright acidity and mild tannins. Thurston Wolfe 2016 Touriga Nacional Port, Yakima Valley, $16 (half-bottle): This dessert wine from a top Prosser winery can be enjoyed immediately with a hunk of blue cheese, or stored away — it will only improve with patience in your cellar. It opens with rich aromas of plum, dark chocolate and golden raisins, and intense flavors of blackberry and mocha, with a long, luscious, delightful finish. This winery in downtown Sequim has crafted a delightful example of this Bordeaux variety, which opens with aromas of blueberry, blackberry, cocoa powder and black pepper, followed by flavors of blackberry cobbler, dark chocolate and a hint of teriyaki on the finish, all backed by mild tannins. 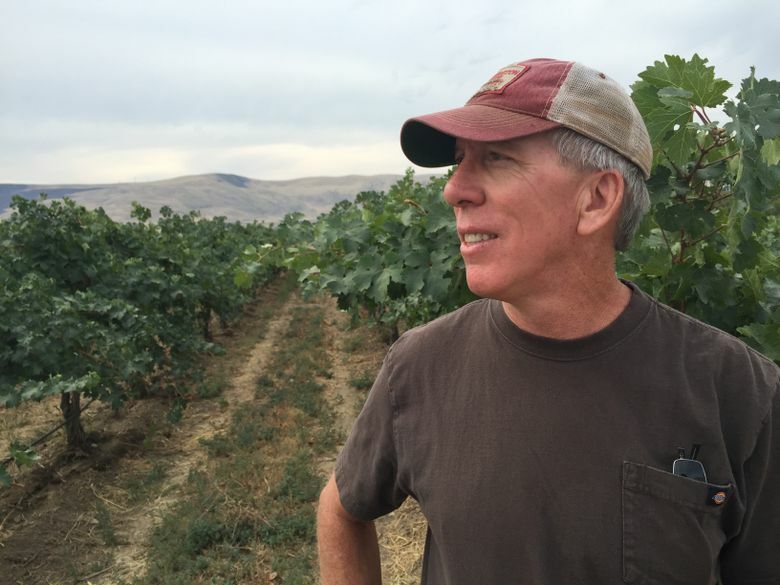 Morrell grows nearly 30 varieties of grapes, supplying fruit to more than 60 wineries, stretching from Sequim to Montana, including top producers such as Rob Griffin of Barnard Griffin and Brian Carter of Brian Carter Cellars. Winemakers love the quality of the fruit, as evidenced by how often they make a vineyard-designated wine, a sure sign of quality and pride.